Critics are saying 2018 was the best year for film in years, maybe even in this century. That may well be true. They get paid to see a lot of films. As a private citizen with a busy life that included turning out a book, I saw fewer films than ever. Also, a few of them stunk. “Ocean’s 8” gave me a sinking feeling, ha ha. As if this hadn’t put me off enough from spending two hours in a theater, I came back from a vacation to find the well-reviewed, right-up-my-alley “Hearts Bead Loud” already on its way out of theaters. I drove to Brea to catch a matinee. What a disappointment. Somehow the main character was selling vinyl records in hipster Brooklyn — and failing? But he was. 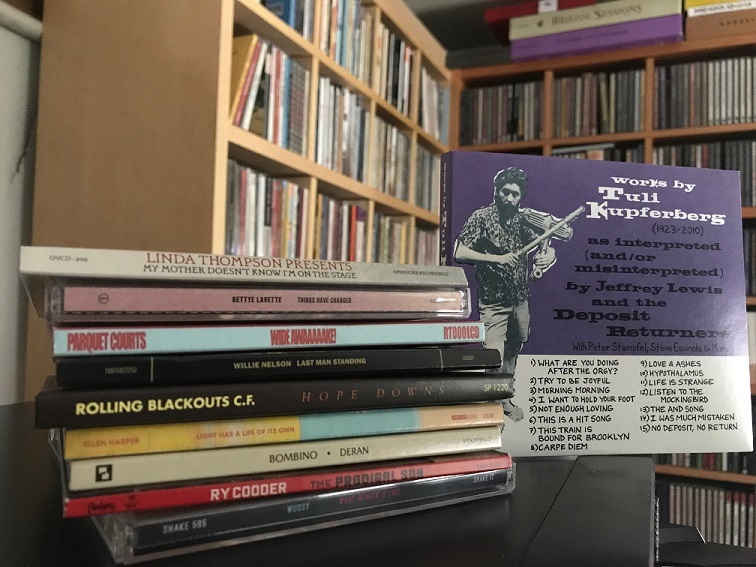 In all the scenes in the shop, there was rarely even one customer, which may have said more about the low budget for extras than about record selling. This sourness is what happens when you feel pressed for time and see a dud: It’s harder to take it in stride. It puts you off the whole enterprise of moviegoing. 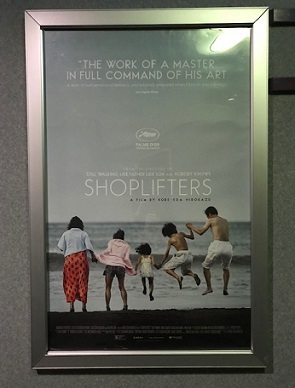 Still, “Green Book” cheered me at Thanksgiving, and I rallied for three strong movies in the waning days of 2018. This is all to say that this year’s Favorite Films list is a bit wan and underdeveloped. But here it is. Take a look and then tell me in the comments what you saw and liked, or hated. Incidentally, and for posterity, I wish I’d seen the October 2017 release “Faces, Places” in time to include it on my 2017 list. It would have been No. 1. It may have been the best movie I saw in 2018, but I don’t list it below since I can’t credibly call it a 2018 movie. “The Phantom of the Opera” and “Nosferatu,” both from the 1920s, will screen at local churches in Claremont and Pomona, respectively, with live organ accompaniment in the days before Halloween. I preview those in Friday’s column, as well as update my list of book tour stops (come see me! ), present a bunch of Culture Corner items and offer up a Valley Vignette. 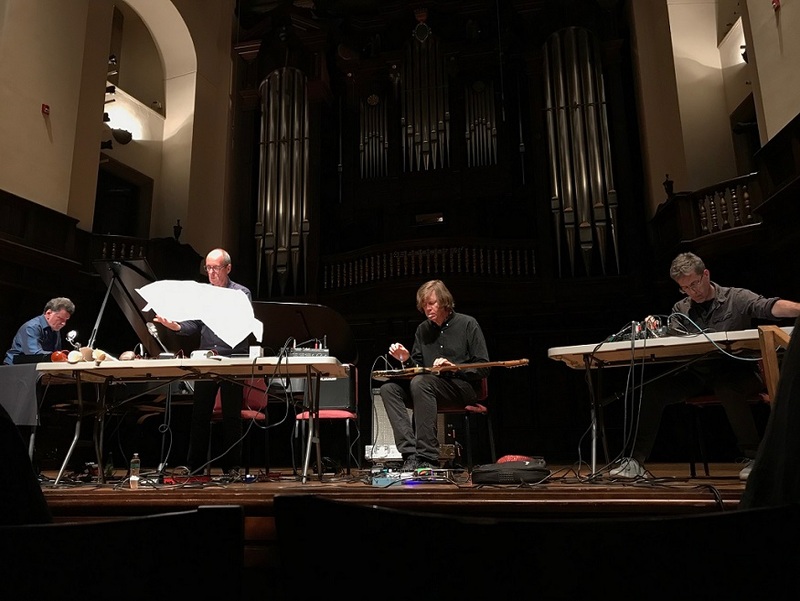 I attended an unusual concert last Friday at Claremont’s Little Bridges, an experimental music event involving a minimal John Cage score and contributions by former Sonic Youth guitarist Thurston Moore. I write about it in Wednesday’s column. For a little backstory, I had not initially planned to write about the show, only attend for fun (although I did bring a notepad and took notes, just in case). But then I was told the LA Times was covering the event. That got my competitive instincts going. While it wasn’t like I was going to out-write or out-think the LAT’s classical music critic, it seemed a shame to have a Claremont piece in the Times and yet ignore the event myself. 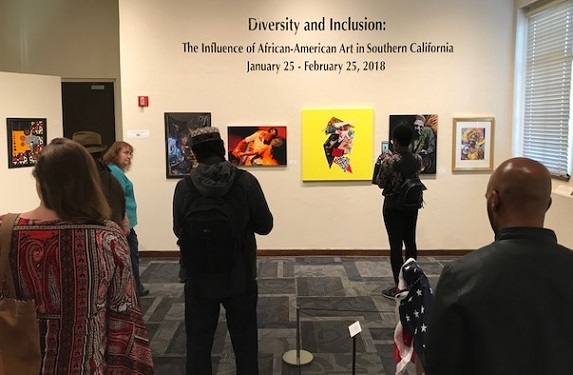 Monday afternoon, I decided to try writing a blog post about the show. After a few paragraphs, I thought, this is getting kind of long; let me cut and paste this into our article software and see HOW long. Well, it was around 500 words, which is verging on the length of a short column. Huh. Seemed like a waste to just post it here, so instead I decided to give myself a break and turn it into a column. Possibly of interest, my blog style and my column style are slightly different, and so I adjusted the writing a bit and added a few paragraphs, with the finished result coming in at around 750 words, shorter than usual but long enough — especially for a column about a rather arcane musical happening. 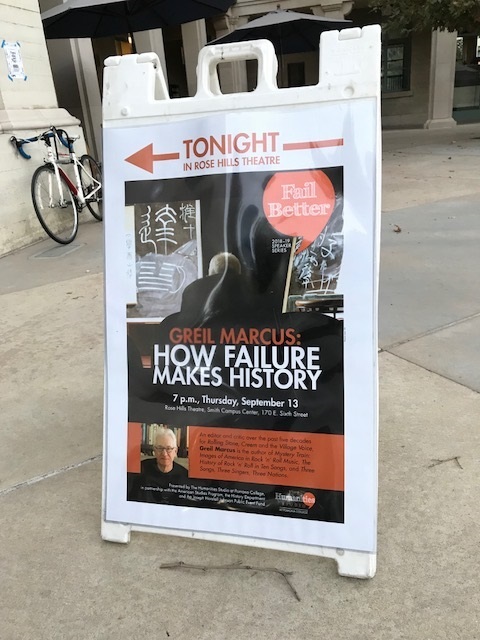 The great Greil Marcus was at Pomona College on Thursday night for a talk about failure, and I was there. (Thus probably accentuating the failure.) Needing a topper to some items for Sunday, I was hoping for the best, and was rewarded. Read that — plus a few items — in Sunday’s column. A Claremont-based theatrical group for children, Alliance for the Performing Arts, must vacate its 6,000-square-foot storage space in Pomona by May 1 — but has nowhere to take its vast numbers of costumes, props and set pieces. I don’t know if a column will help, but it can’t hurt. I write about it for Wednesday’s column. 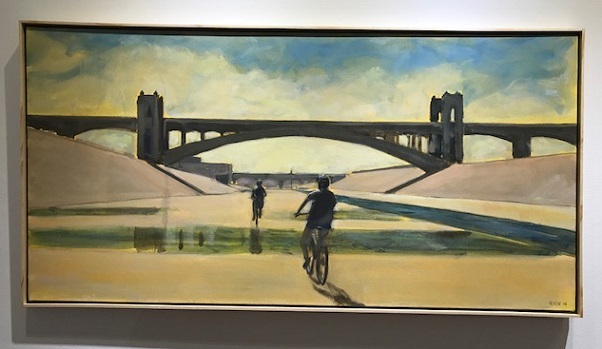 Painter Millard Sheets was also the designer of the classic Home Savings thrift branches, a career that is explored in a new book, “Banking on Beauty.” I write about that book and that work in Friday’s column. 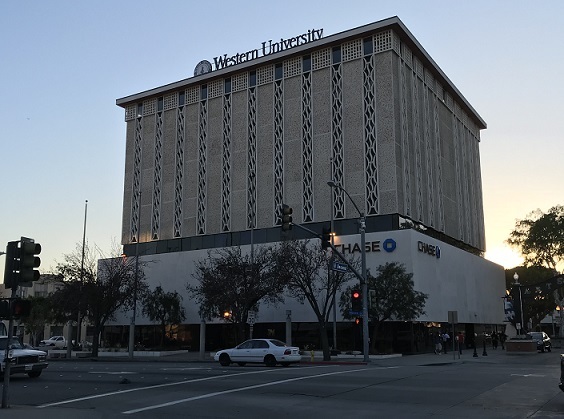 Above, the former Home Savings at Second and Garey in downtown Pomona, now owned by Western University of Health Sciences with Chase Bank on the lower level.